Dr. Marty Sekand graduated from the University of Toronto faculty of Dentistry in 1986. Since the beginning his philosophy of care has always been to combine scientific knowledge, artistic talent and the best of dental technology” to create beautiful, functional and durable dental restorations for his patients broad patient base. Dr. Marty Sekand enjoys utilizing his extensive training in dental implantology, orthodontics and cosmetic dentistry to enhance his patients’ smiles. He has completed over 1200 hours of continuing education from the best dental educators in the world. He is a member of the AACD (American Academy of Cosmetic Dentistry), the CDA (Canadian Dental Association) and the TACD (Toronto Academy of Cosmetic Dentistry) and has served as a clinical instructor at U of T’s Dental Faculty from 1997-2000. His patients love his relaxed, friendly yet professional approach to dentistry. His experience certainly shows in everything he does and has earned him the respect as one of the most sought after dentists in Ajax, Ontario. His work is his trademark and his patients are living proof of his commitment to aesthetic excellence. He welcomes new patients and referrals. Dr. Ken Jandoo graduated from Tufts University School of Dental Medicine in Boston, Massachusetts in 1995. He has taken extensive continuing education in the areas of orthodontics, implantology, periodontology and cosmetic dentistry which allows him to use all facets of dentistry to treat his patients’ needs. He is a member of the Ontario Dental Association, the ICOI (International Congress of Oral Implantologists) and the Toronto Academy of Cosmetic Dentistry. Dr. Jandoo loves incorporating the latest technological advances in his practice, such as digital radiography to enhance his diagnostic capabilities for general and implant dentistry, the CEREC© all-porcelain crowns and ceramic restorations that help him create beautiful and long-lasting tooth restorations in a single dental appointment. Along with Invisalign© orthodontic tooth alignment, and the Lumineers© porcelain veneers, Dr. Jandoo creates dazzling healthy smiles for patients of all ages. 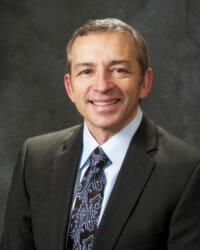 Dr. Steven Schneider graduated from the University of Toronto, Faculty of Dentistry in 1986. After graduating he did a one year dental internship at St. Michaels Hospital in Toronto where he gained valuable experience in dental surgery. He is a member of the ODA (Ontario Dental Association), AACD (American Association of Cosmetic Dentistry) and the TACD (Toronto Academy of Cosmetic Dentistry). Dr. Schneider has taken numerous courses throughout North America in implantology, cosmetic dentistry and orthodontics, continually expanding and updating his knowledge in order to offer the best dental care available. This extensive educational background and experience in treating advanced dental cases allows him to be able to save the patients natural teeth for as long as reasonably possible in health and in function. He is committed to building results that leave his patients smiling. 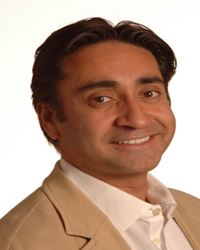 Dr. Randy Singh graduated with a degree in medical dentistry (DMD) from Tufts University in 1996. From 1996 to 1998, Dr. Singh completed an associateship in a private prosthodontic practice in Andover, Massachusetts. Dr. Singh also served as part-time clinical instructor at Tufts University School of Dental Medicines. 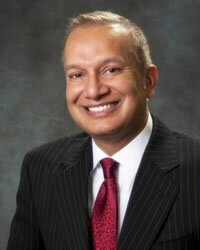 Dr. Randy Singh is a member of ICOI, the Academy of Osseointegration and the American Society of Osseointegration . 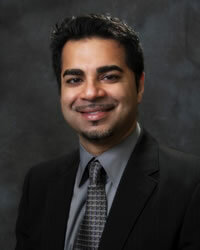 Dr. Randy Singh completed comprehensive implant training at Dr. Hebel’s Hands on Training Institute in 1999. This unique opportunity allowed him to observe and participate in a wide variety of surgical dental implant therapies that formed the foundation for his clinical interest in implant dentistry. Dr. Singh’s passion for dentistry is evident in the hours he dedicates to pursuing advanced continuing education and through the disciplined and thoughtful care he administers to patients. His commitment to quality dentistry, patient comfort and patient satisfaction are his professional trademarks.